The WWE Network was born half out of the optimistic potential of new media; half out of the stubborn ambition of a man who must do things his own way. To follow Vince McMahon’s career is to follow the history of televised media over the last 33 years. He achieved his initial success in large part by harnessing TV syndication and the advent of cable. He was at the forefront of pay-per-view, enticing pay TV customers to lay down an additional individual payment on top of their bills. These new media allowed the World Wrestling Federation to dominate the pro wrestling business, to the point where they finally stood alone in 2001 as the sole survivor, the only pro wrestling promotion in the U.S. or Canada with any remarkable national television distribution. The internet’s effect on McMahon’s business has been more precarious. Besides blowing the doors open to insider news in a once heavily protected industry, it’s not clear how — or if — the rise of the internet in the late 90s had any real effect on the business boom it coincided with. 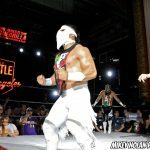 Social media’s most significant benefit so far seems to be with independent wrestling: the smaller companies unable to get distribution on traditional TV. Meanwhile, if you already have national TV distribution, social media seems to offer little so far— but to give fans a greater means to communicate with each other (and sometimes with talent); interact with the promotion and voice their opinions. Streaming video rose to maturity around the same time as social media. Plans for the WWE Network were publicly unveiled at the International Consumer Electronics Show in Las Vegas on January 8, 2014. 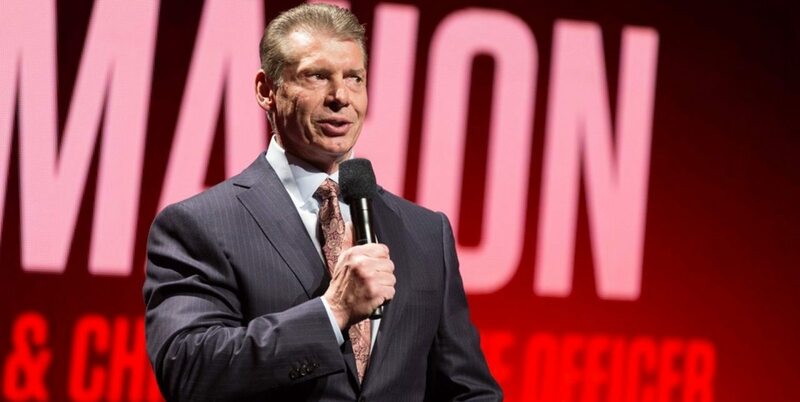 There, WWE executives took turns addressing the audience while standing on a stage made of smooth, vibrant gradients and a giant video screen that animated and beamed an endless variety of familiar logos and delicious PR clips groomed for the corporate masses. 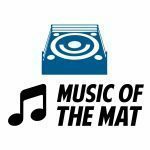 For those who subscribe, the Network puts pro wrestling in our pockets. It places a great deal of pro wrestling history at our command: the raw footage as well as the favorably inaccurate re-tellings. It channels remotely what once required having several storage rooms worth of videotapes. It takes us away from the bars and friends’ houses we used to have to find, and keeps us safely in our homes, for a sufferable, recurring fee, charged invisibly to our credit cards or PayPal accounts. Because of optimism over a new TV rights deal with NBC Universal, but also due to the promise of the Network, WWE’s stock price surged in early 2014 as the new service was being launched. It peaked at an all-time high, over $30 per share (about twice what it’s been trading at lately) before rupturing back to reality later that spring as WWE’s NBCU deal fell short of expectations, and the Network was still struggling to obtain one million subscribers. It’s now clear to see, with the benefit of hindsight, that McMahon thrust his company into the over-the-top video streaming business, too completely, too soon. WWE’s net income for 2015 ($24.1 million) is still not even half what it was in the years before they started investing in the Network. 2009 and 2010 earned net incomes of $50.3 and $53.5 million, respectively. That’s even with WWE now earning by far its highest television rights fees ever, enough to keep the company profitable without further cost cutting. The strength of the Network is especially important if there ever comes a day when the TV rights bubble bursts, and the high demand for live sports-like entertainment returns to the more moderate levels of even a few years ago. Two years into the life of the service, the conversion of pay-per-view customers to Network customers has slowed greatly. Michael Cole and John Bradshaw Layfield have been pleading with fans from the announcers’ booth that they can save big by signing up for the Network. Yet some fans are still paying the suggested $44.95 price tag for WWE PPVs. While some may slowly trickle in and adopt OTT technology (and while there may still be a lack of broadband access in some regions that obstructs adoption, which may be cleared up as time goes on) it’s plausible the bulk of those who will convert have already converted. 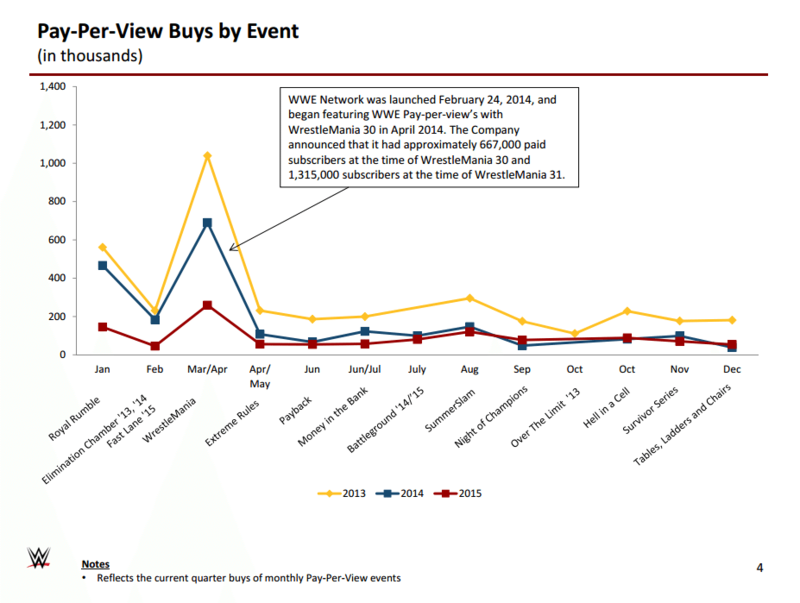 After WrestleMania 31, actual pay-per-view buys for 2015 were very close to those of 2014. That said, I think we still may see a larger drop in traditional PPV buys for WrestleMania 32 versus WrestleMania 31 than for other PPVs, year-over-year. Because of WrestleMania’s high profile and higher price point, it may be the last straw that converts more customers over to the new technology. WWE expects to have an average of 1,280,000 subscribers over the entire first quarter of the 2016: January 1 through March 31. WrestleMania is on April 3 this year, so subscriptions acquired in April are obviously not considered in that guidance. 1,280,000 subscribers is 63,000 more than the 1,217,000 subscribers they ended the year with on December 31, 2015. It’s possible this could mean around Royal Rumble, the Network was up to around 63,000 subscriptions more than that expected average of 1,280,000. In this hypothetical, that would mean the Network has currently around 1,343,000 subscriptions, or at least expects that many to convert from free trials to paid subscriptions by the end of the quarter. Under this scenario, that’s a 10% bump between December 31 to Royal Rumble, down from a 23% bump between the same interval a year ago. If this hypothetical is fairly accurate, then Network subscriptions are likely currently at an all-time high, as the highest known subscription number is 1,327,000, on March 31, 2015, just after WrestleMania 31. Let’s continue to extrapolate this hypothetical. There were 1,001,000 subscribers right after Royal Rumble 2015. The day after WrestleMania, that number was up 31% to 1,315,000. Since the theoretical Rumble 2016 bump was only worth 43% of the actual bump of Rumble 2015, that might mean the WrestleMania bump for 2016 will be worth about 14%. This would put subscribers the day after WrestleMania 32 at about 1,535,384, just past the 1.5 million milestone. This prediction, however, could be high, because I’m not taking into consideration the acquisition of new markets the Network launched in in early 2015, most importantly the United Kingdom and Ireland (on January 18, last year). The only new markets the Network still has yet to roll-out in are China, Thailand and the Philippines. WWE CFO George Barrios said on the latest quarterly conference call on Thursday that they would be launching in those countries “soon”, but there wasn’t any indication the Network would be available in those countries in time for WrestleMania. Taking this into account, it seems more likely the subscriber count the day after WrestleMania (which will be revealed that morning in a press release and conference call) could fall just short of the 1.5 million milestone. Of course, the ultimate mover of Network subscriber metrics — as well as all WWE metrics — is interest in the overall product. What drives that interest is star power, and the creative work done to make people feel they have to go out of their way to see those stars and the big matches they’re in. George Barrios was asked on the conference call what the company’s strategy is for drawing people to the Network. A lot of the “incentive” [to subscribe to the WWE Network] is around the creative and messaging to our fans — both prospective fans and current subscribers, or those who might be inactive — about the great content on the Network. As far as the pricing or package promotions: the only thing we do is the one-month free [trial subscription]. And obviously we’ve kept it in effect, so from our perspective it’s working. Other than the one-month free trial for new subscribers (or anyone with the patience to create a new email account) as an entry point, the real prime draw of the Network is the would-be pay-per-view events: the creative, headed by dual promoter and booker, Vince McMahon. We’re in a particularly difficult time for WWE due to injuries. John Cena, Seth Rollins, Randy Orton, Sting, Cesaro and Tyson Kidd are all likely out through WrestleMania. Daniel Bryan just retired. CM Punk was long ago disgruntled and run off to the gallows of UFC. Set for April 3 in Dallas, Texas, WrestleMania 32 was intended to be the event manipulated to finally break the mythical 93,179 attendance record supposedly set at WrestleMania III in 1987. This year’s Mania was to be the biggest one ever; was to add a new chapter to WWE’s big book of folklore. Of most real importance, it’s needed to boost WWE Network subscriptions as by far the most valuable single piece of content of the year they will offer. 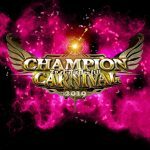 With so many injuries cropping up, causing plans to be cancelled and reworked, only for yet another injury to cause those plans to be scrapped, the rumored big matches for this year’s WrestleMania (Roman Reigns vs. Triple H, Bray Wyatt vs. Brock Lesnar, Undertaker vs. ???) look lackluster. Maybe McMahon is praying Cena’s superhuman healing abilities (which seem already underway) will allow Big Match John an early return to swoop in and face Undertaker. Regardless, the issue of so many injuries heading into WrestleMania was asked about on the call. Eric Katz (Wells Fargo analyst): WrestleMania. You guys have a lot of talent injured right now. Just kind of wondering how you plug the holes on the roster to make it a stronger event. Thank you. Vince McMahon: By being creative. (Laughs) We’ll have an awesome WrestleMania, and it’ll be very attractive to our audience, just as attractive as last year’s. That was his entire answer. By Vince McMahon’s creative might he will will WrestleMania to be another record-breaking spectacular. At least McMahon seems to be putting the onus on himself to make the best of the situation, something to his credit, he’s been known for over the years. But can this year’s WrestleMania, booked in the NFL’s largest stadium, possibly become as big as it was once speculated to be? I sense this year the WWE audience is finally going to get an element of Vince McMahon’s will which was narrowly averted at both of the past two WrestleManias. At WrestleMania 30, the crowd was almost fed a Batista vs. Orton main event, where both wrestlers would have been booed, and the match probably would have been turned on by the audience. At WrestleMania 31, new top babyface Reigns was nearly booked to win the WWE Title to what almost certainly would have been a mixture of boos and apathy. This seems to finally be the year where McMahon will get the main event conclusion he most wants: Reigns hoisting the title as confetti falls and the show goes off the air. If that’s the result — regardless who the endorsers are in either corner or who the special referee is — I think Reigns will get the same undesirable reaction he would’ve gotten last year had he won: maybe worse, as many hardcores who will be in attendance in Dallas now see his likely opponent, Triple H, as the father of the beloved NXT brand. In a worst case scenario, Undertaker having a weak match against a weak opponent (though Braun Strowman is reportedly out of consideration), could prime the live crowd to be even more discontent going into the main event. With the expected lineup featuring no Cena, no Sting, no Bryan, no Orton, Rock in a non-wrestling role, and no other major special guest star, I doubt this WrestleMania will have any more raw drawing power than the WrestleManias of the past two years, which drew non-sellout crowds of about 67,000 in 2015 and 65,000 in 2014. WWE could always lower ticket prices or give away a lot of tickets for free to help fill up the building, but it would be surprising if WrestleMania 32, as it stands, draws any more paid fans than the past two years. I fear sending the live crowd and WWE Network subscribers home from WrestleMania unhappy, and with a feeling that the product’s creative vision is well out of alignment with what will satisfy them as fans. 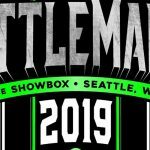 Such an event could be bad for one of the strongest elements of their brand: though it would take more than one bad WrestleMania to hurt future WrestleManias. We saw the #CancelWWENetwork phenomenon dispelled the very next day when WWE announced they toppled the 1 million subscriber milestone. WrestleMania today is a big draw because of its legacy, above what’s actually on the card. But a few bad WrestleManias in a row over the coming years — let’s say driven by an out of touch creative mind featuring resented top star Reigns — could hurt that brand, and ultimately the all-important WWE Network. How Meaningful is the Decline in WWE TV Ratings? The TV ratings suggest WWE hasn’t been doing a great job of being creative, but McMahon suggests the TV ratings don’t matter so much anymore. Is this actually true, or is McMahon resorting to dubious generalizations that merely have some shreds of anecdotal truth? According to the data at tvseriesfinale.com, he’s right. The average Live+SD rating (accounting for live or same-day DVR viewings) for RAW dropped 10% from 2014 to 2015. WWE is not explicit in their reporting, but I believe the ratings they report in their financial documents are DVR+7 ratings (any viewing live or on DVR within seven days of initial airing) . According to those reports, the average RAW rating dropped 7%. SmackDown dropped 12% for Live+SD, and dropped 8% for what is likely DVR+7. 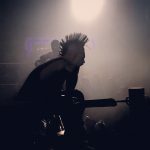 Tvseriesfinale.com reports all but one of USA Network’s returning scripted series (which apparently does not include WWE RAW by their definition) suffered a year-over-year drop at far greater rates than RAW’s TV rating did. The exception is the series Suits, which only lost 1.65% of its viewership. None of the returning programs have gained viewership, year-over-year. It should be noted I’m comparing the rating for RAW against the viewership of these other series, which can be importantly different metrics: however the losses for most other USA Network series are so great (which except for Suits, all lost somewhere between 32% and 53% of their viewership), that the difference in channel availability (which is what a rating accounts for, which viewership does not), is almost certainly not significant to this comparison. What about other networks? Similar can be said about Syfy, where SmackDown aired until this past January. All of Syfy’s returning scripted series suffered between 24% and 59% losses in viewership. According to an article on Bloomberg.com, Viacom networks Comedy Central, BET, VH1, Nickelodeon, Spike and TV Land have suffered “double-digit” declines. The article reports MTV’s primetime ratings are down 21.7%. Overall primetime TV ratings for the 18-49 demographic, across all cable networks, are said to be down 7%. What about broadcast network TV? Non-scripted series are declining too, but are mostly faring better than scripted series. The overall average percentage change for all scripted and non-scripted series on ABC, CBS, FOX and NBC is -12.4%: again, no worse than the year-over-year drops for either RAW or SmackDown. Live “DVR proof” sports, particularly the NFL and UFC are the exception. This year’s Super Bowl did about the same rating it’s done the last several years. I found in my year-end article for 2015 that the average rating for Monday Night Football in 2015 only fell 2% from the previous year. UFC’s ratings on FOX are stable. As of November 2015, UFC’s ratings on FS1 in 2015 were up 9.5% over the average for 2014. However, NBA ratings declined last year, though playoff games still do well relative to competition. World Series ratings have declined over the decades, but are fairly stable in the last few years. [Our viewers are watching more] online, and things of that nature. So, George [Barrios] mentioned “ecosystem”. It’s extremely important for us to do television, as well as television is sort of the old media. And not that it’s not important to us; it’s extremely important. But when you add in all the YouTube, and you add in all the digital, and you add in all the social, our audience is consuming our product in the way that they want to and when they want to, and that’s important for us to be able to do that. So it’s not just about television ratings anymore. We’re not [Viacom CEO] Phillippe Dauman. We’re not looking at it that way, at old school; we’re looking at it from the standpoint of a total ecosystem which as you can see is extremely strong for us. So it’s not just about television ratings, which we used to — ya know, before new media — used to live and die by. According to the infographic they released with the latest earnings report, WWE’s YouTube channel received 8 billion new video views in 2015, up from 3.9 billion in 2014 — but there’s something misleading here. These statistics are inconsistent with the video view count publicly visible on the “About” page of WWE’s YouTube channel. According to that page, WWE has about 7.5 billion video views over the entire lifetime of their network of YouTube channels, which goes back to May 2007. From webarchive.org, I found 16 data points from past versions of WWE Fan Nation’s “About” page, between June 2013 and the present, with which to consider the accumulation of WWE video views. 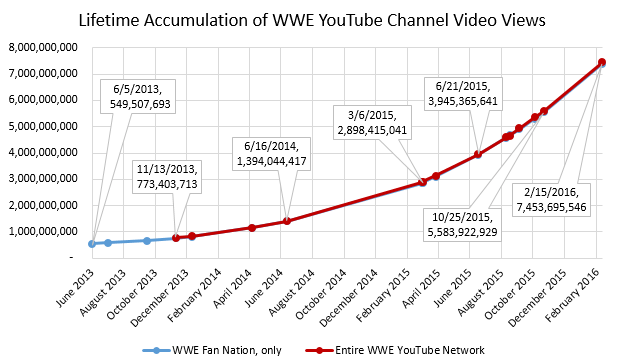 The vast majority of WWE’s video views come from its “WWE Fan Nation” account. As of this writing WWE has a total of 27 channels in their YouTube network. YouTube began distinguishing view counts for just the Fan Nation account and the entire network of channels sometime in the fall of 2013. Regardless, the difference is very small. It looks like there were actually about 3.75 billion new video views (EDIT: Due to an oversight, this number was originally estimated at 3.5 billion) on WWE YouTube channels in 2015. Still impressive, but not the 8 billion that the infographic released by WWE suggests. I suspect to reach the 8 billion mark, WWE is counting all video on YouTube of content uploaded by other users which WWE has made a copyright claim on. Of course, most of that content is not recent, and is not new weekly content whose views might help excuse declines in TV ratings. However, WWE can monetize the videos they make claims on, so they should still be receiving revenue as if they really had 8 billion views on their YouTube channel in 2015. It’s important, too, to keep in mind these YouTube views are worldwide numbers. The TV ratings and viewership metrics discussed earlier are data for the United States, only. However, as David Bixenspan found via Tubefilter, WWE’s YouTube channel is the number-three channel worldwide, as well as in the U.S.
Mostly shortened segments of RAW and SmackDown are now made available on WWE’s YouTube channel the same night those programs air in the U.S., and get hundreds of thousands, sometimes millions of views. 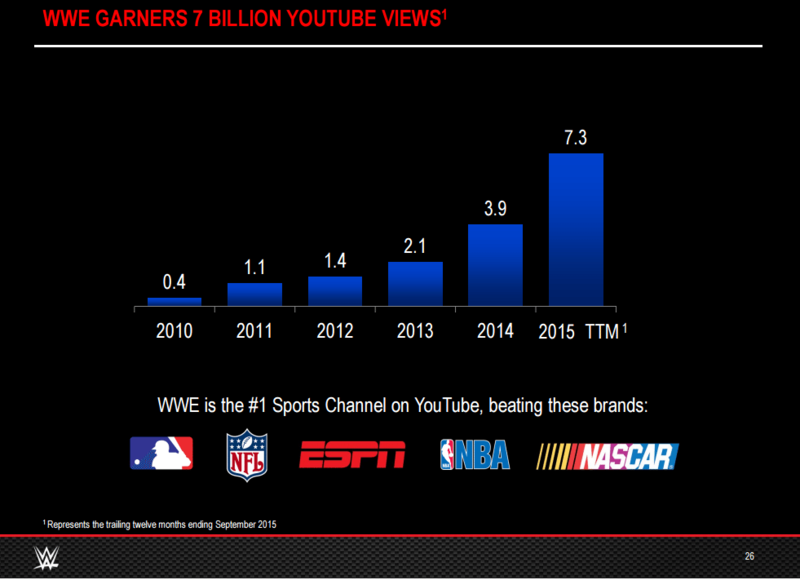 Short of getting access to WWE’s YouTube analytics, we don’t know what portion of those billions of views in 2015 came from the U.S. However, such a rapid increase in views, year after year, as well as the high ranking of the channel in the U.S. suggests that a rapidly increasing number of people in the U.S., as well as worldwide, are consuming WWE content via YouTube. It should also be kept in mind that comparing a video view to a traditional TV viewer is not an apples-to-apples comparison. One video view is basically one click on a single video (or a single segment of WWE programming), which does not nearly equal one traditional TV viewer who’s measured to have watched a program. Nor would standard YouTube analytics even tell us how many unique people are viewing any form of WWE video on a weekly basis. Also, much like a click on an article doesn’t guarantee the person read the article, nor does a “video view” guarantee the viewer watched the majority of the video. Of course there are even more alternate means of consuming WWE programming. With a subscription to Hulu you can watch a (merciful) 90-minute version of RAW, as well as SmackDown, NXT, Total Divas, Superstars, Main Event and Slam City. Clips from current WWE programming are also posted to WWE’s Facebook page (which are native Facebook videos, not YouTube videos), and get hits in the tens or hundreds of thousands, some breaking 1 million. We could also take into account various nefarious means of watching WWE programming (which shall remain hyperlinkless), at least one of which garnered over 300,000 worldwide clicks for a recent episode of RAW, besides tens of thousands of clicks for other WWE programs. The share taken by the 50+ age group is growing as the others give way. It’s quite plausible that the younger audience is increasingly seeking non-traditional means to view WWE programming. The 2012 pie chart accounts only for RAW and SmackDown viewership. Total Divas debuted in July 2013. The 2014 pie chart includes viewership for RAW, SmackDown and Total Divas. The latest pie chart, on the right, includes viewership for the aforementioned programs, as well as Tough Enough and Slam City. It depends on how WWE calculated these charts, but if anything, the addition of Total Divas should help these data skew younger, since the median viewer of that show is 32. The addition of kids’ show Slam City (which airs on Nicktoons), too, could only help this data skew younger, but its viewership is probably tiny compared to RAW and SmackDown. However, even if we suppose all of the few percentage points’ difference in the aging of WWE’s traditional TV audience seen above is actually due to the use of new media, that alone still doesn’t account for a 7% decline in ratings. Nonetheless, the effect of new media on WWE’s TV ratings may be significant. As difficult as it might be, I think the evidence shows that it’s time to start taking non-traditional viewing into account when assessing WWE’s declining TV ratings over longer periods time. We can still see meaningful changes in the ratings from week to week. It was no coincidence the rating shot up on December 15, 2015, when McMahon himself returned to TV the same night Reigns won the WWE title. But very gradual declines over years or even several months may become harder to extract meaning from if the effect of new media is significant. If it is significant, that leaves WWE’s partnership with traditional television enterprises like NBC Universal in an awkward predicament. 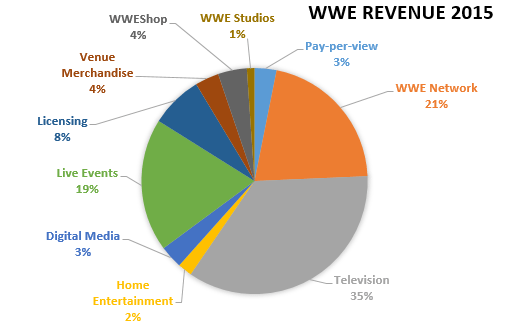 The largest portion, 35%, of WWE’s revenue in 2015 came from deals with its television partners. The most prominent partner is NBCU, parent company of the USA Network, which has aired WWE’s programming more often than not for decades. “Digital Media”, which includes revenue from monetizing YouTube videos (as well as ads on WWE.com), only accounted for 3% of revenue last year. Brad Safalow (PAA Research Analyst): How would you describe the tension between NBC Universal, and what they’re paying you for RAW and SmackDown, and what you’re providing to Google and/or YouTube? And obviously there’s a huge gap from a monetary perspective. How do you see that playing out over the next couple years. And what kind of leverage can you exert on your digital distribution partners? Vince McMahon: I think again, it’s a combination of that equation. I think one thing from an NBCU standpoint is, generally speaking, we’re live programming, and that has tremendous value. So I think going forward we’re going to be even more valuable to NBCU, in terms of RAW, SmackDown, whatever else we do. And again, it goes back into that whole huge ecosystem, and I think that just based on sheer volume alone, and sheer popularity, we’re poised to take advantage, in that, not just in terms of promotion, but from a financial standpoint. So I think that as we continue on, we’re going to be more and more valuable to everybody. Here WWE and its media partners, NBCU and YouTube alike, wade further into the uncharted depths of the new media ecosystem McMahon and Barrios like to speak of. What will the world look like in a few years when WWE’s deal with NBCU is near its end? 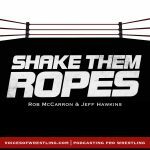 Will WWE be worth less because of declining traditional TV viewership, possibly due to cannibalization from platforms like YouTube and Hulu (which provide WWE far less revenue)? Or will WWE be worth more to TV networks because they provide live programming whose viewership at least isn’t declining at the rate of most other programs on TV? Could WWE programming someday, probably way off, end up primarily broadcast on an OTT platform like Netflix, Hulu or the WWE Network itself? It’s very hard to give any reliable answers to these questions now. 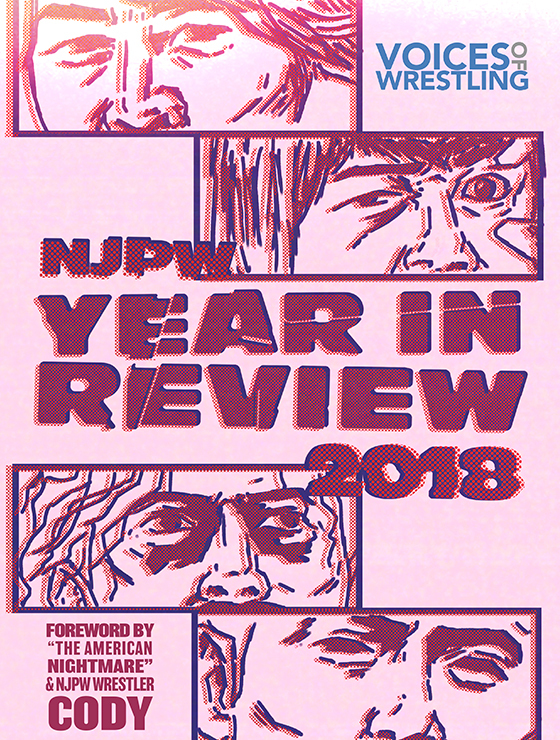 I expect these issues will be at the center of the one of the wrestling industry’s biggest stories around 2018. To their credit, WWE has prepared well for a world with evermore diverse forms of media. The decision to jettison the entire pay-per-view schedule in favor of the WWE Network was a hasty move, but their early investment in the Network could prove to be wise as they head into an unpredictable time for media. As much as it may annoy some viewers, and as little revenue as there may be in it right now, WWE’s hard push of its social media accounts, too, might be helping them prepare for the multitude of possible outcomes in their unpredictable future.